Do you want to change lock screen wallpaper on iPhone 6, iPhone 6 plus or live wallpaper supported iPhone 6S/ 6S Plus, iPhone 7/ 7 Plus? On running all 10/ iOS, 11/ iOS 12 devices have the same options to change Lock Screen Wallpaper or Set Home screen wallpaper on iPhone. Hope this post will become defiantly helpful who are unaware of iOS and or beginner user of iOS devices. Almost for those folks who migrate from Android to iOS. So we decide to reveal this tip of Apple iPhone. Check out my outlined steps on to set or change Lock Screen wallpaper on iPhone X/ iPhone 8 (Plus)/ iPhone 7 (Plus)/ iPhone 6S (Plus), iPhone 7/ 7 Plus. Whether this post was written for iPhone 8 Plus, but you can apply the same article for your iPhone SE, iPhone 5S or running all iOS 9 devices. Note: The Dynamic Wallpaper has consumed more battery power, so we recommend choosing Statics/Stills Wallpaper. 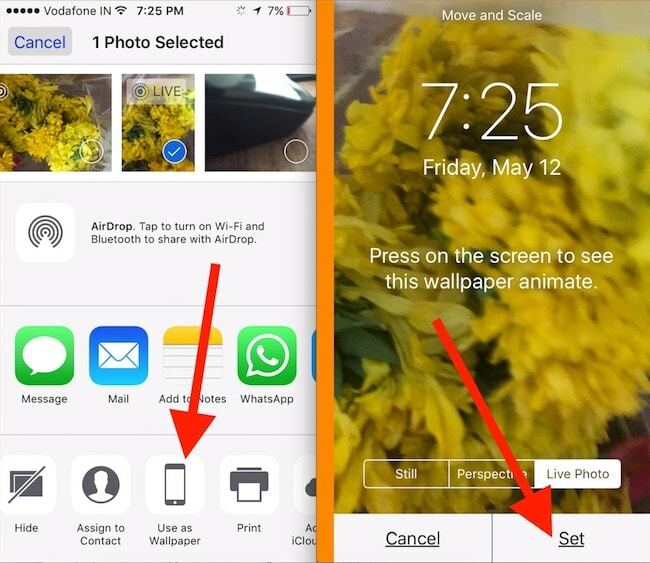 Here I explained two ways for Set a new or change old wallpaper on the Lock screen or Home screen. Both the ways are uses for static/ still or dynamic/ Live wallpaper. Live Wallpaper only set for the supported iPhone models: iPhone SE (But Can’t fix it on the lock screen, No 3D Touch), iPhone 6S/ 6S Plus, iPhone 7/ 7 Plus. 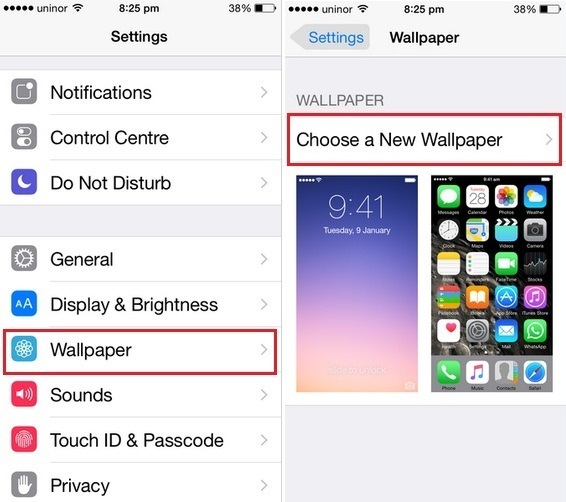 How to set live wallpaper on the iPhone lock screen or home screen? Answer: steps are the same for any types of photo. Step 4. Here you’ll get Apple Wallpaper as a Dynamic and Stills and it bottom edge side you can appear your iPhone’s Photos camera roll, Favorites, Hidden Photo, bursts photos, etc. Now as per your wish Choose a correct option and do final. 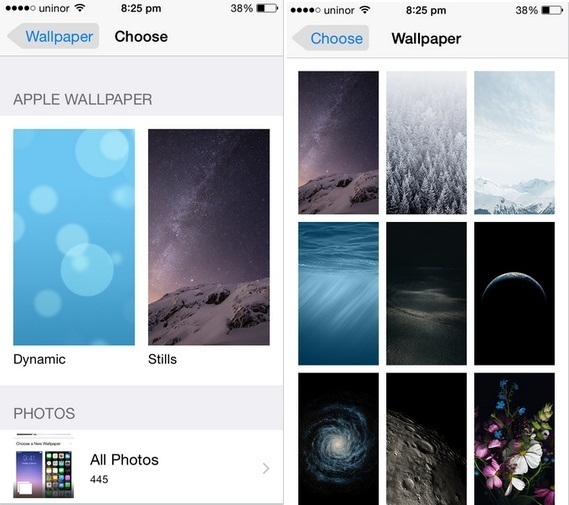 In case of you Choose Set Lock Screen only then the Wallpaper Preview will set as your iPhone Lock Screen Wallpaper. 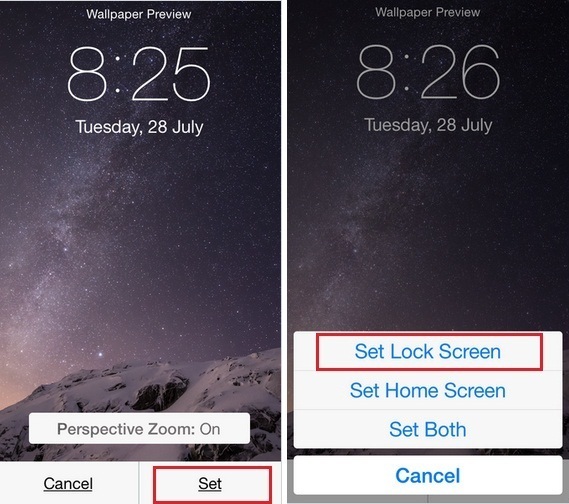 If you choose Set home Screen then it’ll set as your iPhone Home Screen, and if you go with last option for Set Both then you’ll be seeing your iPhone 6 or iPhone 6 Plus Lock, and Home Screen Wallpaper are Same. 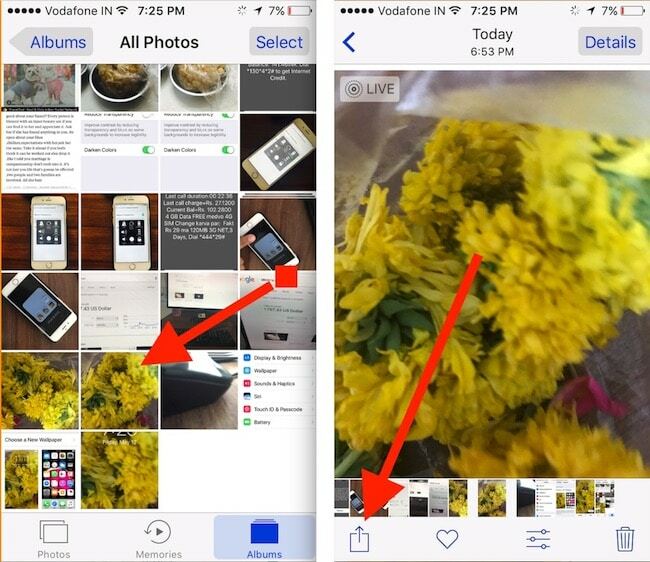 Open Photos app on iPhone. Here I am showing an example of live wallpaper. Next, Find the live photo and open it on screen. Then, Tap on sharing icon (Square box with upper arrow), From sharing menu find Use as Wallpaper options. Tap on Set on the lock screen. Please share your expression with us for how to Change Lock Screen wallpaper on iPhone 6, 6 Plus. Keep in touch with us to know more troubleshooting and useful tips for your Apple iOS and Mac OS X devices.